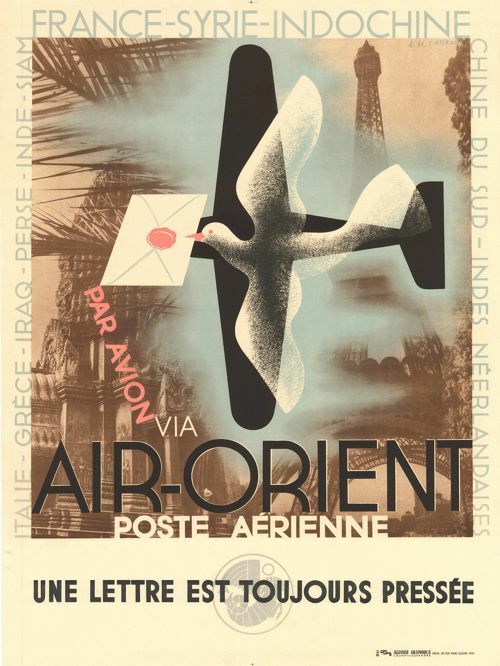 Cassandre was one of the great poster designers of the 20th century. His real name was Adolphe Mouron. Born in the Ukraine in 1901, his family were forced to migrate to Paris due to the hostile political climate. He originally studied painting at the Écoles des Beaux Arts in Paris but, at the age of 22, he started designing posters under the name Cassandre. 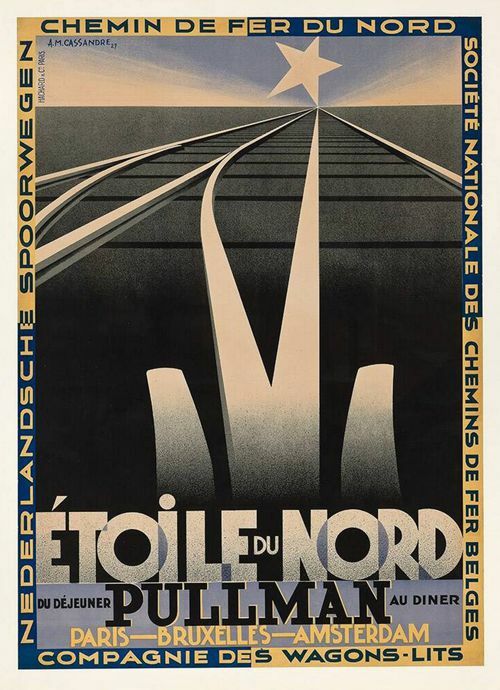 Cassandre's posters celebrate the new modes of luxury transport that characterise the prosperous lifestyle of his day. 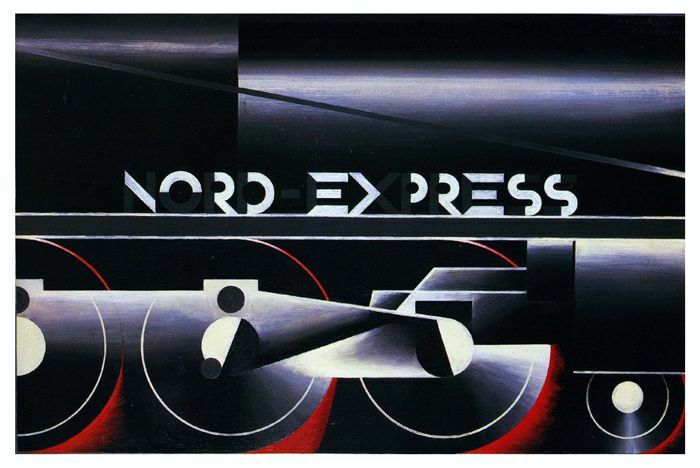 He used stencils and an airbrush to create his stylized images of speeding trains such as “Étoile du Nord” and “Nord Express” which drew upon the art of Cubism and Futurism (an Italian variation of Cubism). Cassandre's style is typically Art Deco and his posters have become iconic images of that period (mid 1920’s to mid 1930’s). The name, Art Deco, was coined retrospectively in the 1960’s as an abbreviation for the ‘Exposition des Arts Décoratifs et Industriels Modernes’, a 1925 design exhibition in Paris that celebrated modern living. Art Deco was a fusion of various early 20th century styles: a combination of Art Nouveau’s stylized curves with the geometric abstraction of Cubism, Futurism and Constructivism (a Russian form of abstract art). Art Deco also borrowed ideas from historical and ethnic sources such as the art of ancient Rome and Greece, Aztec, African and Egyptian art. The artifacts and treasures discovered in Tutankhamun's tomb in 1922 had a strong influence on the Art Deco style. Art Deco objects often use unexpected combinations of materials like snakeskin, leather, marble, hardwoods, steel, aluminium, bronze, plastic, ivory, glass and crystal. The iconic Art Deco design comprises zigzag and streamlined forms in combination with formal geometric shapes. The designs always place the decorative style of an object before its functional qualities. 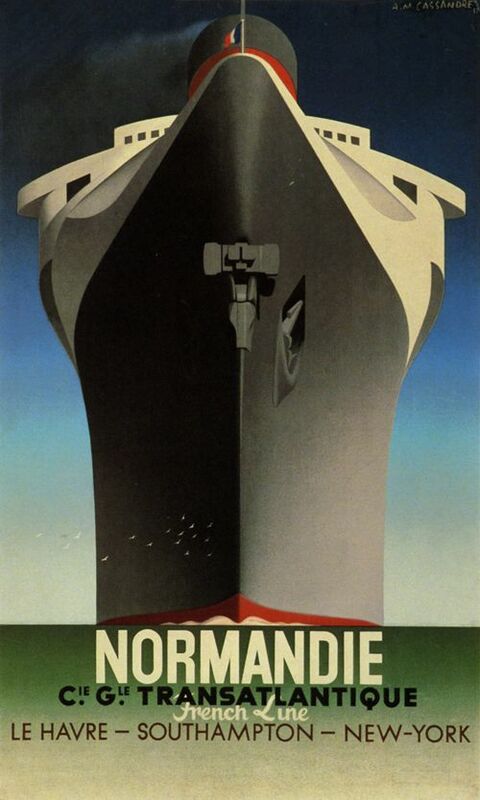 Cassandre’s designs greatly influenced advertising art in the first half of the 20th century. He believed that “Designing a poster means solving a technical and commercial problem....in a language that can be understood by the common man.” In 1926, Cassandre co-founded the advertising agency Alliance Graphique. His agency created many of the classic designs of the 20th century and evoked a particularly French style. 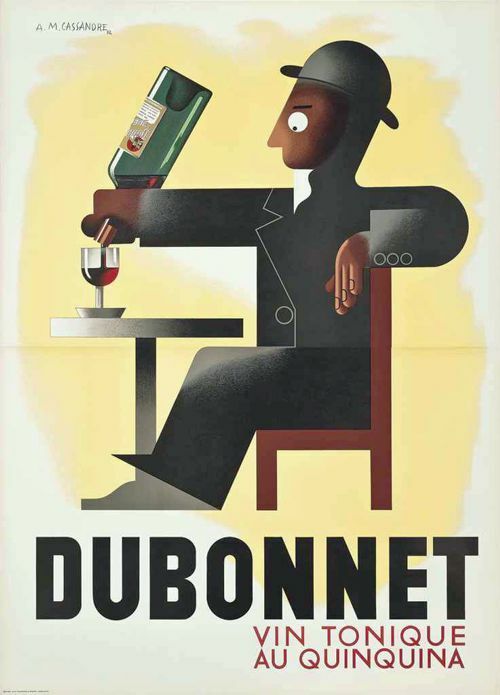 Cassandre's posters for the Dubonnet wine company, “Dubo Dubon Dubonnet” (1932), were the first specifically designed to be read from fast-moving vehicles. He also introduced the idea of the serial poster: a group of posters to be seen in rapid succession to convey a complete idea. Cassandre designed several classic art deco typefaces: Bifur (1929), Acier Noir (1935) and Piegnot (1937). He only used capitals in his designs as he believed that they were more legible, especially when seen on a large scale. The way Cassandre links his typography with his images is one of the hallmarks of his design. Type is not a separate element but is integrated with the image to create the unified concept of the design. Jean Adolphe Mouron was born in Ukraine in 1901. He studied painting at the Écoles des Beaux Arts in Paris, but at the age of 22, he turned to designing posters, under the name Cassandre. 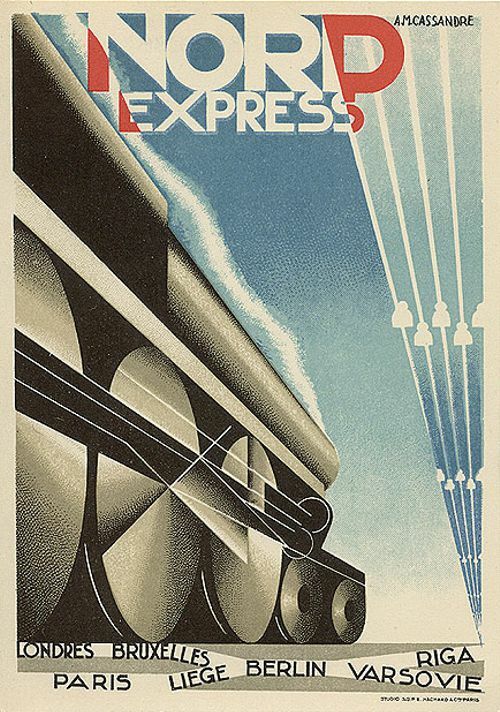 Cassandre's posters celebrate the luxurious transport and modern machine technology of his day. Cassandre used stencils and an airbrush to create his posters, and drew upon the styles of Cubism and Futurism (an Italian variation of Cubism) for his inspiration. Cassandre's work is typically Art Deco and his posters embody the style of that classic design period from the late 1920’s to the mid 1930's. 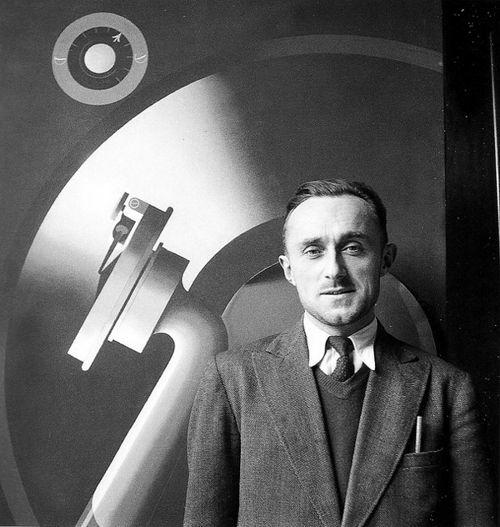 In 1926, Cassandre co-founded the advertising agency Alliance Graphique. Alliance Graphique created many of the classic designs of the 20th century and evoked a particularly French style that characterized the Parisienne lifestyle. Cassandre believed that “Designing a poster means solving a technical and commercial problem....in a language that can be understood by the common man." Cassandre was the first graphic artist to simplify his designs so that they could be read from fast moving vehicles. Cassandre introduced the idea of the serial poster: a group of posters to be seen in rapid succession to convey a complete idea. Cassandre was also the designer of the art deco typefaces: Bifur (1929), Acier Noir (1935) and Piegnot (1937). Cassandre only used capitals in his designs as he believed that they were more legible, especially when seen on a large scale. The way Cassandre links his typography with his images is one of the hallmarks of his design. Cassandre died in Paris in 1968. 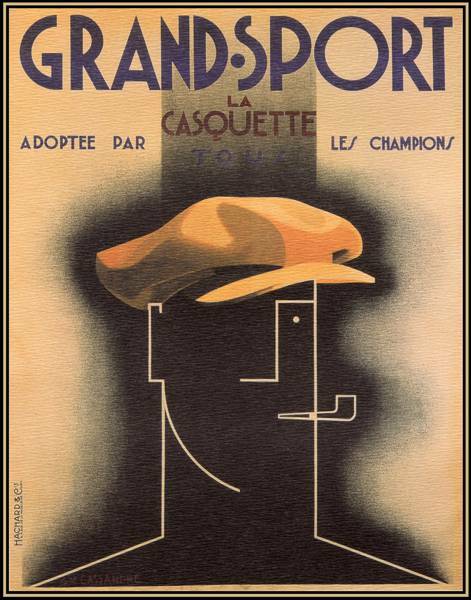 'Grand Sport' (1925) by A. M. Cassandre.